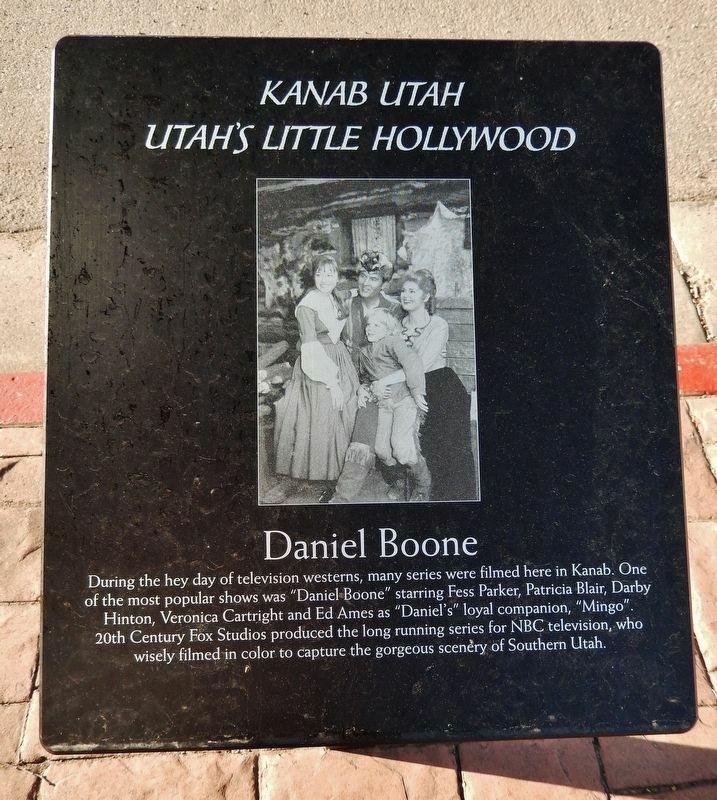 During the hey day of television westerns, many series were filmed here in Kanab. 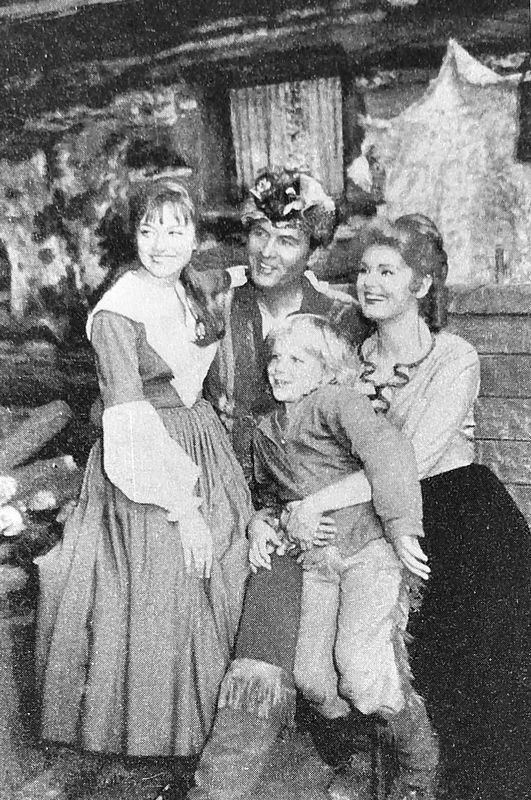 One of the most popular shows was "Daniel Boone" starring Fess Parker, Patricia Blair, Darby Hinton, Veronica Cartright and Ed Ames as "Daniel's" loyal companion, "Mingo". 20th Century Fox Studios produced the long running series for NBC television, who wisely filmed in color to capture the gorgeous scenery of Southern Utah. Location. 37° 2.882′ N, 112° 31.736′ W. Marker is in Kanab, Utah, in Kane County. Marker is on West Center Street (U.S. 89) west of Main Street, on the right when traveling east. Touch for map. Marker is located along the sidewalk on the south side of the street, near a parking lot entrance. 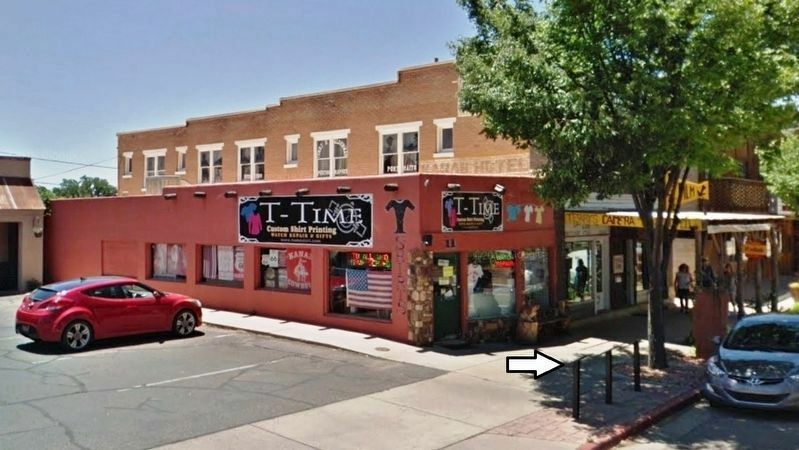 Marker is at or near this postal address: 19 West Center Street, Kanab UT 84741, United States of America. Touch for directions. (here, next to this marker); Sidney Poitier (a few steps from this marker); Linda Darnell (a few steps from this marker); Ken Curtis (a few steps from this marker); Ted Markland (a few steps from this marker). Touch for a list and map of all markers in Kanab. More. Search the internet for Daniel Boone. Credits. This page was last revised on March 10, 2019. This page originally submitted on March 7, 2019, by Cosmos Mariner of Cape Canaveral, Florida. This page has been viewed 67 times since then. Photos: 1. submitted on March 7, 2019, by Cosmos Mariner of Cape Canaveral, Florida. 2, 3. submitted on March 8, 2019, by Cosmos Mariner of Cape Canaveral, Florida.